Today’s recipe comes from Eleni Crush, a fellow Californian, trendsetter and writer living in Brooklyn, NY. Eleni likes wine, Greek food and delicious cocktails! Don’t we all? Combine ingredients in tin. 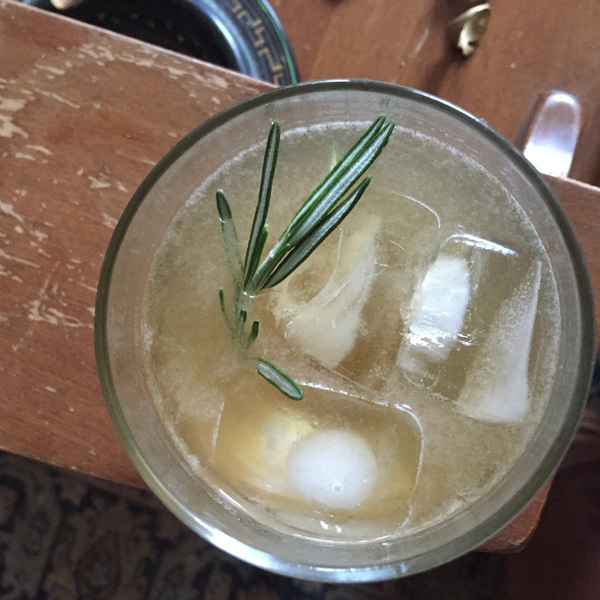 Shake and strain, serve on the rocks with Rosemary Sprig. Have a recipe you’d like to be featured? Please send a recipe, cocktail photo and a bit about yourself to homebargirl@gmail.com.